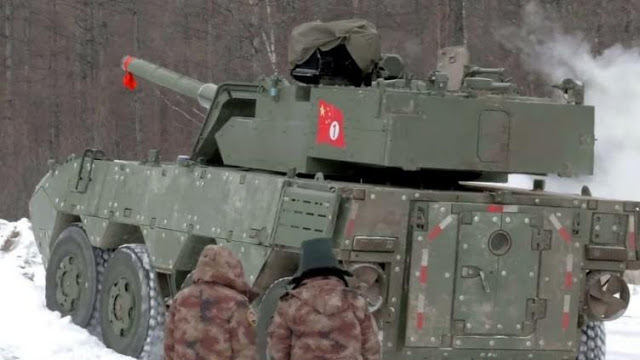 Images have emerged showing what appears to be a new Chinese 8×8 assault gun equipped with a 105 mm main armament and a remote-controlled weapon station reportedly being trialed at what local media identified as the Baicheng Weapons Test Centre in northeastern China. Hmm. Don't think this is suppose to go after other armored vehicles (although I'm sure it could in a pinch). I'm betting this is used in the old support tank role...or in British nomenclature an old Infantry tank. Hopefully we'll see it on exercise to get a better view on how they see it fitting into their battle plans.